Agree with Brad's Dad. Team did well with a one demential offense. Most pf the game,just as last week you could call offensive co ordinator's plays before he ran them. Kids want to win but when many starters are out the burden falls on those who are not yet ready. I wonder jf the Big Mouths would back up there words in person? Missing most of projected line starters and an All America Tailback would hurt any team,.But Patriot League team? If the League does not change it is doomed to the bottom rung of FCS. Lehigh gets more gets more good press from CJ than all grade A egg heads they are so enamored with. So we slip further down the list and revel in our superiority. Glad you are back, QBDAD. Your insights have been always appreciated here. Bottom line: Those of us NOT playing the game knew Navy -- missing key players, too -- was the better team and would score many more points than Lehigh. No, this was not QBSON's best game. I'm sure he wouldn't make excuses, but this is a TEAM game, and 11 guys, not 1, have to execute the offense properly and together on each play for it to succeed. This likely was one of the top two teams LU will see all year, barring some kind of crazy playoff run. That doesn't mean LU couldn't have been more competitive. The much-heralded, improved D gave up 629 yards, including 484 on the ground against a fast, tricky offense. Problems with big plays were reminiscent of last year, but the opposition was far better than last year's opponents. Still, 33 missed tackles seems like a lot -- as the TV commentators noticed. I noticed lots of arm tackling this week. But speed kills. I don't care how good the offense is, you're not going to win when you give up 629 yards. Seems like we should know that from last year. The good news is these young men went down fighting. Lots of guys got a chance to play in a game that was a once-in-a-lifetime experience for many of them. Playing in front of a huge crowd in a real DI stadium with all the class and hoopla that went with it. Mish's punting (51-yard average) was awesome, including four of five kicks inside the 20. Some of the young offensive guys got a great taste for what they'll have to face next year (or later this year). Playing a fast-paced team should make playing against some of the top PL teams feel like the speed of playing a good high school team. I'll say it again, I don't think Mayes is helping the team. I'm not his Dad, I don't see him through his Father's eyes. A true leader doesn't show up his receivers when they make mistakes, doesn't get suspended for the first quarter of the first game of the season, doesn't slam his helmet on the ground and sulk on the bench when teammates make misplays. I'm rooting for him, but I root for Lehigh more. If he wants to truly be great, he has to stop channeling Jay Cutler's emotional playbook. His teammates need him to be better. First of all Chuck, it appears that you're new to this forum thing, but historically it is frowned upon when posters talk crap about and call out a specific player, but that appears to be who you are. Now you're going to bring up Brad's suspension, which you know nothing about? That was not an NCAA thing, it was not a Lehigh thing, it was a Coen thing, which his own staff didn't agree with. Again, none of your frigin business. Brad sometimes lets his emotions get the best of him, but as a fan and a former coach (not his dad), I want a player that is passionate and competitive, unlike yourself. We can end all of this if you would just let us know which player your son is and I can have Brad go apologize for hurting his feelings and give him a big hug. I would appreciate you keeping my son's name out of your mouth from here on out. I love when people get on here and hide behind their user names. If you have something you want to say, stop hiding behind your keyboard and come see me at Fordham. Thanks. Just a ton of arm tackling from Lehigh. Defense hasn't improved one bit and really that game could have been far worse if Navy's QB could throw. So many wide open receivers. True enough in a way. Rewatched game this AM. Most of that resulted from Perry's elusiveness. Geez,that fella is really good. D did a decent job stopping the triple option except for Perry. A not uncommon event for Navy opponents this year. D played with all 11 within 10 yds of the LOS of necessity vs Navy. Think D wore down as game progressed. Too many TOs and short drives by O.
Bottomline Navy is much better than us. O in trying to match Navy game speed made mistakes. A lot of them. Not all were on the QB by any measure. 3 INTs. 2 tipped passes and a really bad decision to throw back into the middle. Allen lost his fumble and Kelsey was stripped. Both tho had good games. OL is what it is right now. Right now we have a backup at C while last yr's starter is at T along with a frosh G because we lost both starting Ts to injury. Since C is at T , a starting G was moved to C but he is injured. Not a great situation. I'm willing to let people truly offer their opinions stand on here, and everything has been just OK, but a warning, if things go over the line either way I will shut it down. My own feelings on the matter is that the entire offense has struggled against a probably bowl-bound FBS team in Navy and a Villanova team that has (or at least had?) a great defense. We have a young offensive line that has been injured and needed to learn on the fly. We are missing the heartbeat of the offense, Dom. These aren't excuses but it's clear that the offense needs to pick things up versus Penn and Princeton. That's not on only one guy. Also, I feel like these types of games are very important for Lehigh to keep playing. A big criticism of Lehigh in the past is that they haven't tested themselves against teams like Navy. The only way to test oneself against the speed and talent of those teams is to play them. That's how I look at the Navy game - it's a test. 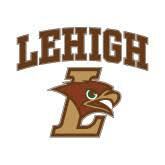 I mean, had Lehigh won, I'd have been thrilled, but it was a test. Nobody will be able to say in 2018 that Lehigh didn't challenge themselves. This is one of the hardest OOC slates I ever remember Lehigh playing. The key here to me is what happens next. Clean up what didn't work against Navy and Villanova, learn from the mistakes, and see what happens against Penn and Princeton. I want to see some higher scoring vs. Penn and Princeton in general. Simple disagreement on temperament. Example: Tom Brady, today, screaming in faces "DO YOUR JOB" as they were getting smacked....pretty tough stuff. Personally, I love it! No coddling, no time to grow up....get it done now. Brad looks to me to be the emotional leader of this team and I love the fire in his belly. QB sets the tone and Brad has high expectations for himself and his teammates. Lehigh plays Navy 10 times and losses all 10 by 30 points. Fought like heck on the field. Great learning experience. Move on.